PAME expresses its condolences to the LAB Union, a member of the WFTU, for the deaths of three workers last week in the Basque Country. The 3 workers were killed in 3 different industrial accidents (in transport, wood and construction sectors). Accidents that are in fact murders of workers due to inadequate Health and Safety measures in the workplace, intensification due to the bosses’ hunt for profits where the worker’s life becomes consumable material. With these three deaths, the number of workers who have lost their lives in work in the Basque country this year reaches 50. Protecting the life and health of workers is the front line of the struggle of class unions against the attack of employers-governments-EU, who want us to be modern slaves. 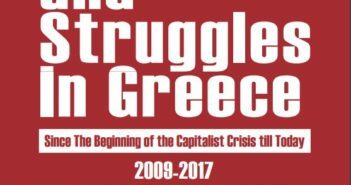 PAME expresses the condolences and support of the class movement of Greece to the LAB Union and the workers of the Basque Country.